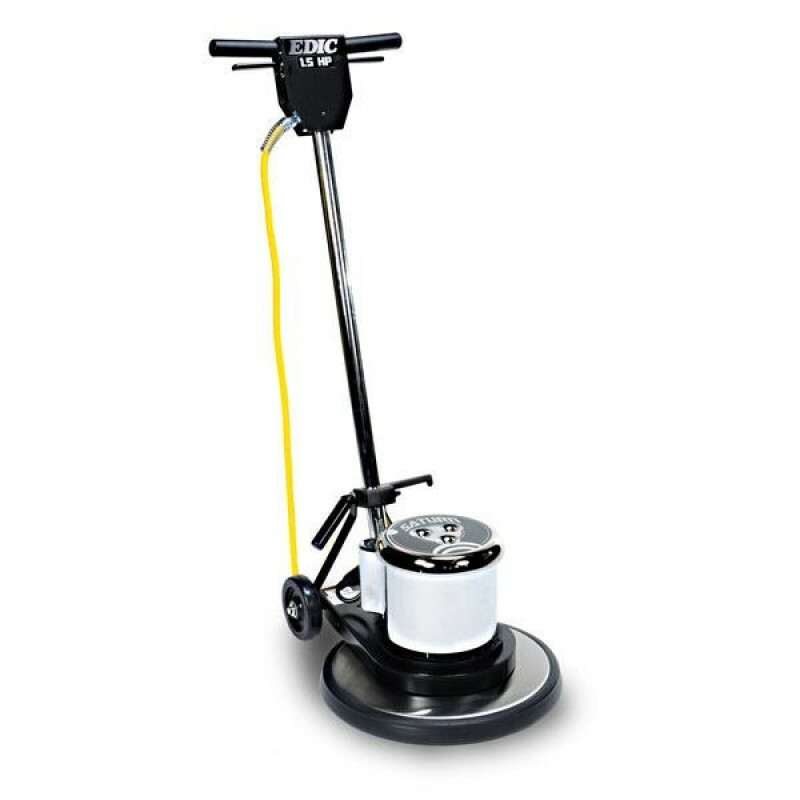 The steel triple planetary gearbox, dual capacitors, and the 1.5 HP motor, provide this low speed floor scrubber with the means to complete all jobs put in front of it. It can scrub, strip, and buff hard floors as well as scrub carpeting. A great low speed floor scrubber for any situation. Our 20 inch floor scrubbing machines are great for larger areas, such as; supermarkets, warehouses, and schools. 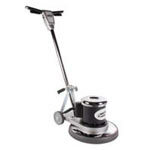 The EDIC 20 inch Saturn is a durable, top-of-the-line, low speed floor scrubber at an affordable price. Dual-trigger negative pressure switch allows operator to run with either hand. Wide-gripping handle locking mechanism guarantees a tight lock and smooth adjustment. Dual capacitors, 1.5 HP motor and triple planetary steel transmission make this the perfect unit for scrubbing carpets. Comes with a lifetime warranty on the stainless steel brush cover, and a 5 year parts & labor warranty. 48" x 23" x 26"